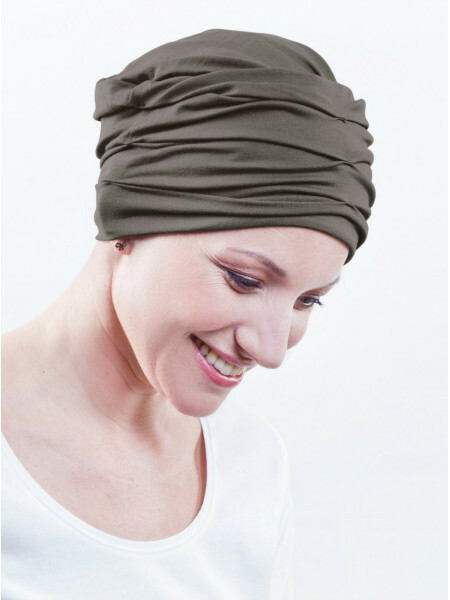 This khaki chemo hat is surprisingly versatile. A trendy, sporty accessory with jeans, elegant and classy when paired with black. 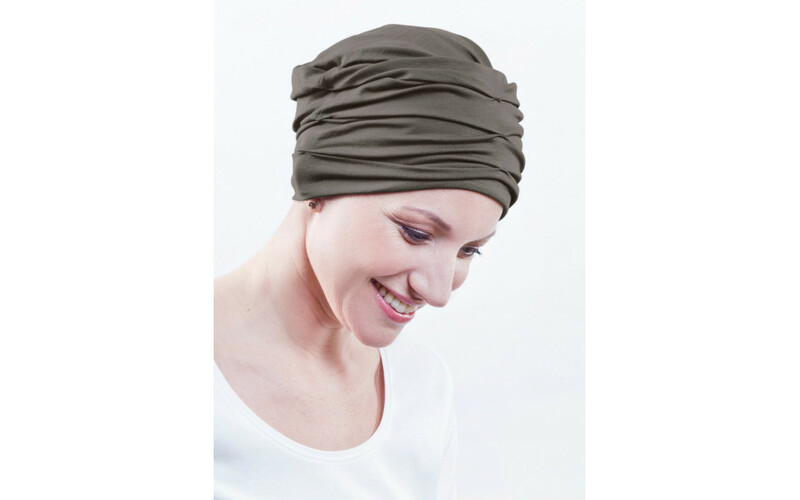 It stays in place for hours and won’t make you feel itchy because of its super-soft finish and careful design. A lovely treat for your scalp!